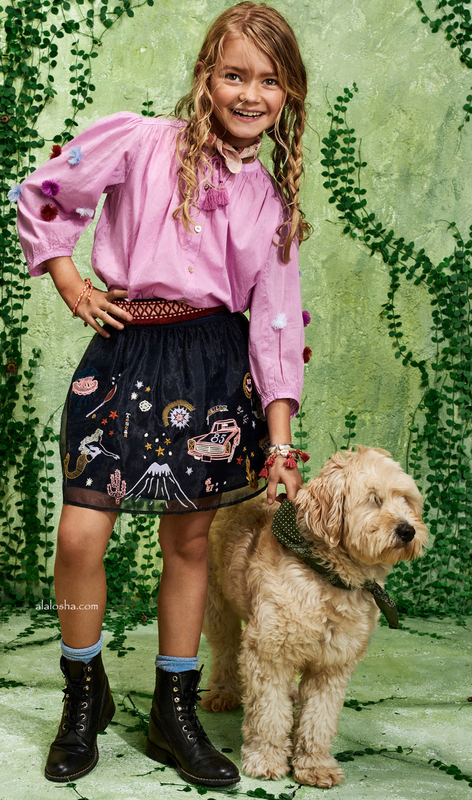 Scotch & Soda kids' collection reimagines a mix of gaucho-styled looks. 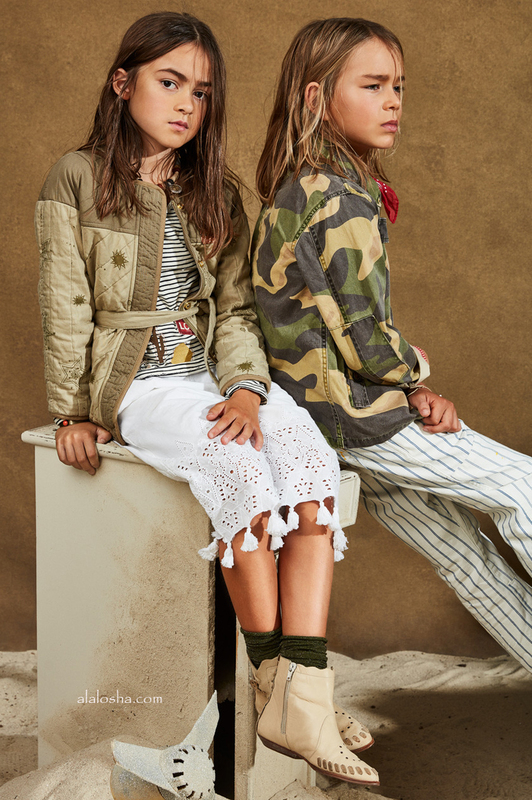 Cool clashes in camo and stripe work with tasselled detail, nomadic patches and laid-back pocketing.Rich rainforest prints, a pop-colour palette inspired by creatures from the coral reef, and the added beauty of reversible designs. Constructed in pristine white, these cotton culottes are adorned with star patterns in broderie anglaise. Crafted in yarn-dyed stripes, this cotton slub jersey t-shirt features a buttoned boat neck and is outlined with contrast binding. 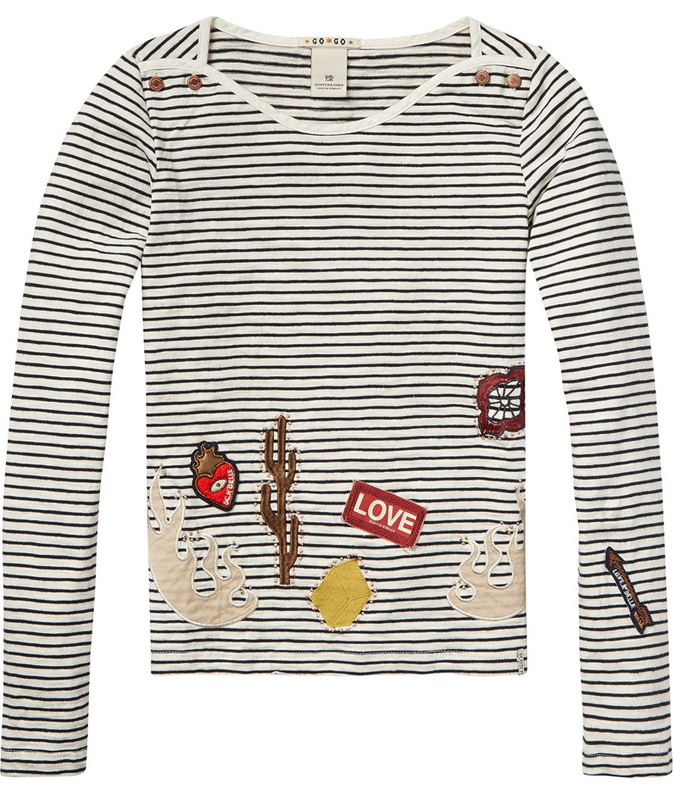 The long sleeve tee is finished with colourful badges in various beaded qualities. Woven in a boxy silhouette, this lightweight cotton top comes with 3/4 sleeves and closes with a button placket. 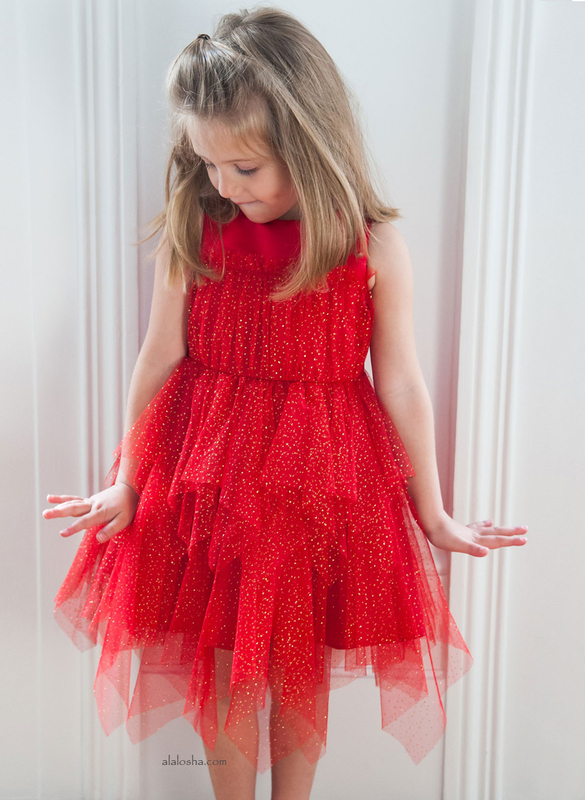 The top is detailed with tassels and finished with multi-coloured pom poms. 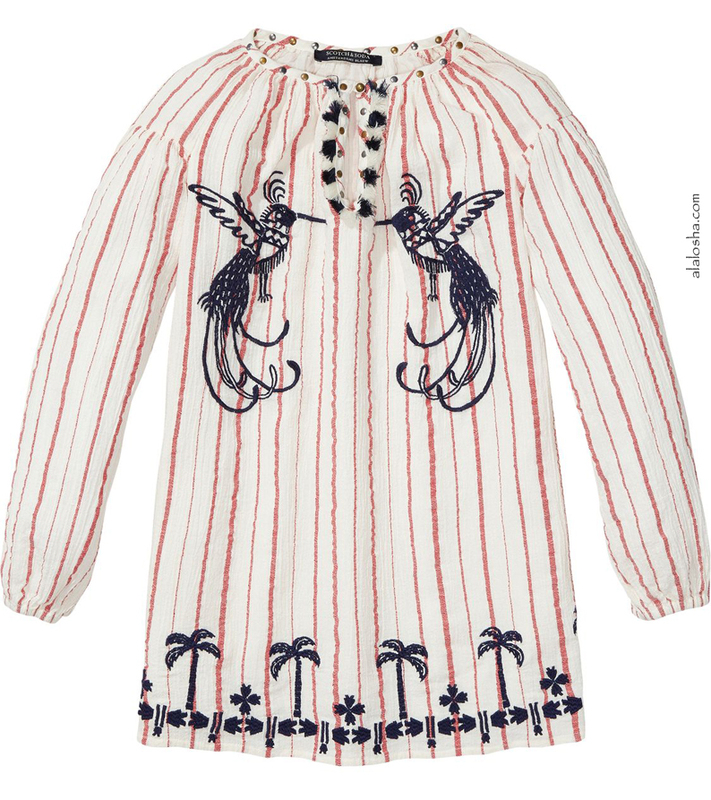 Designed in a loose fitting tunic silhouette, this long sleeve dress is crafted from lightweight cotton and adorned with embroidery. The dress is finished with gold-silver studs on the neckline. 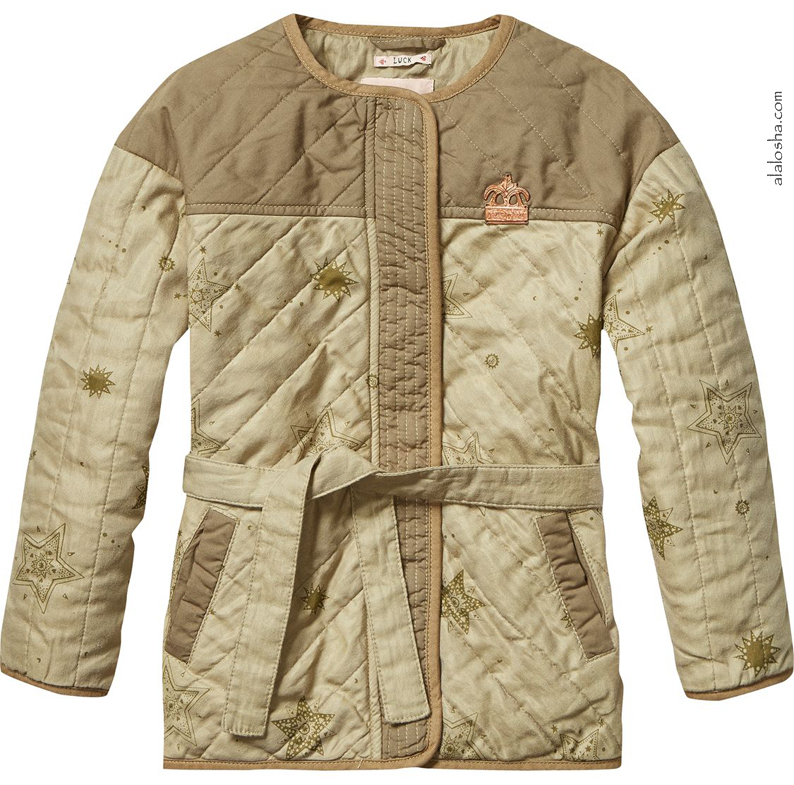 This cotton jacket is quilted and features tonal panels that are printed in star patterns. 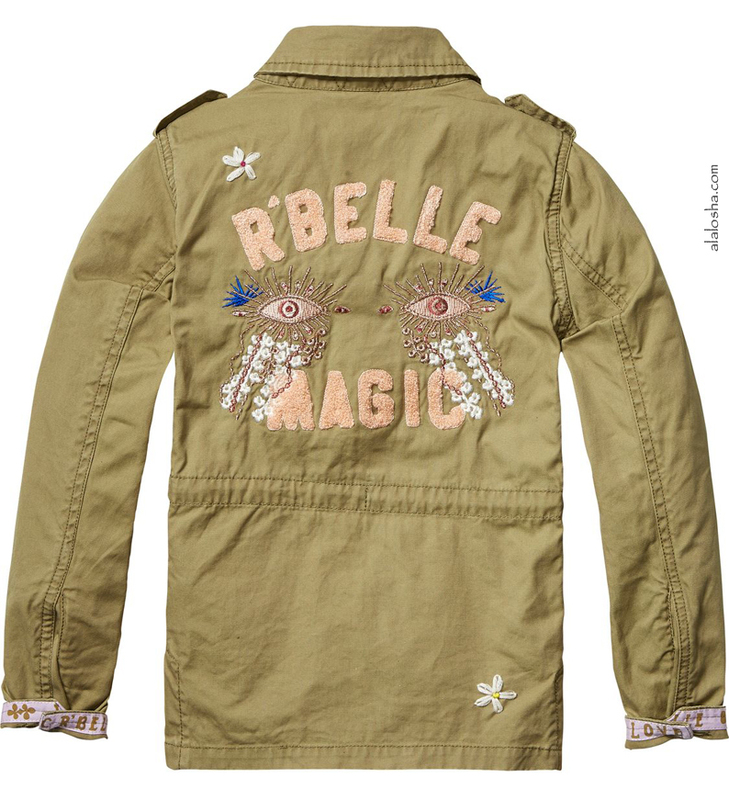 The jacket is finished with a fabric belt and a palm tree badge. 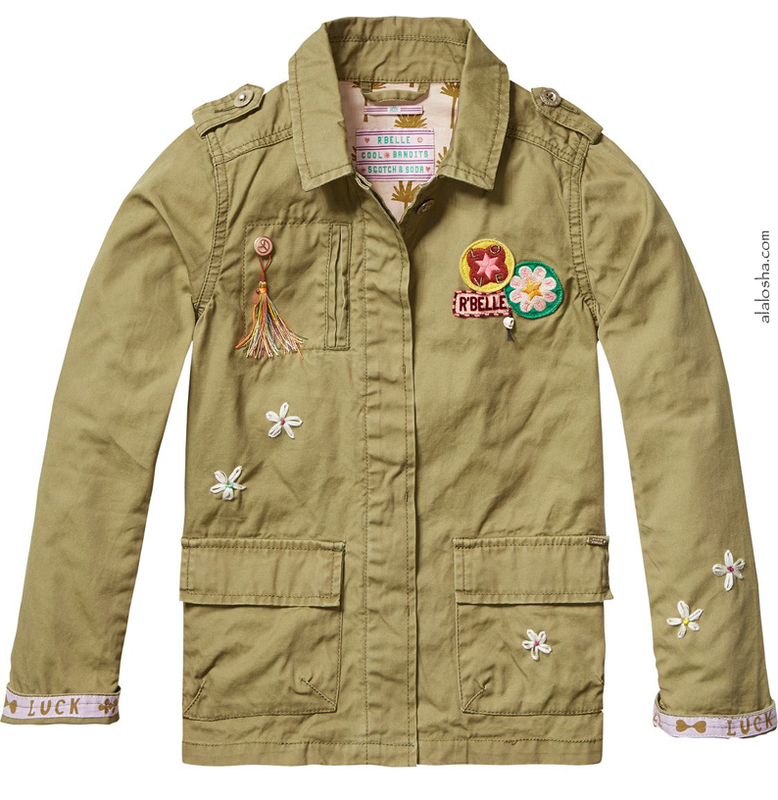 Made from sturdy cotton in a worker silhouette, this jacket is embroidered and comes with colourful badges and intricate artwork on the back. 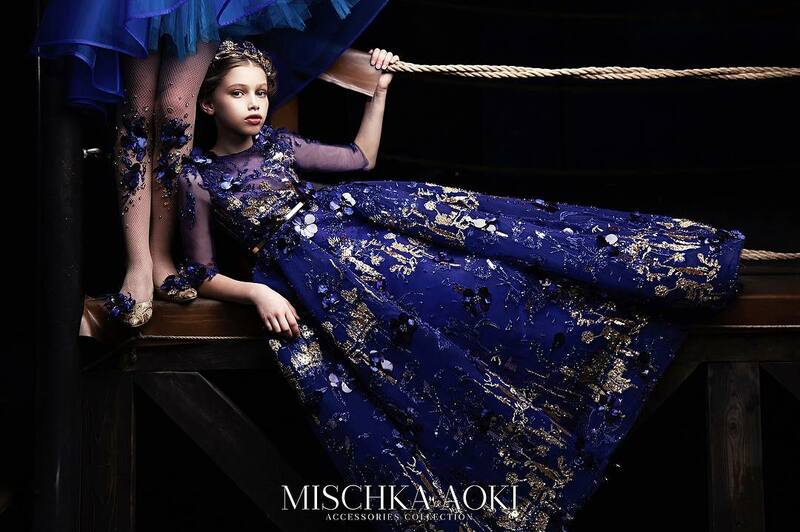 If you like these outfits, please visit Scotch & Soda online shop to find your the best.